We create websites & interfaces, that drive results. We are a passionate and result oriented digital marketing agency based in Cape Town. From delivering high-end website design to executing highly successful digital marketing campaigns – we’re all ears to your needs. 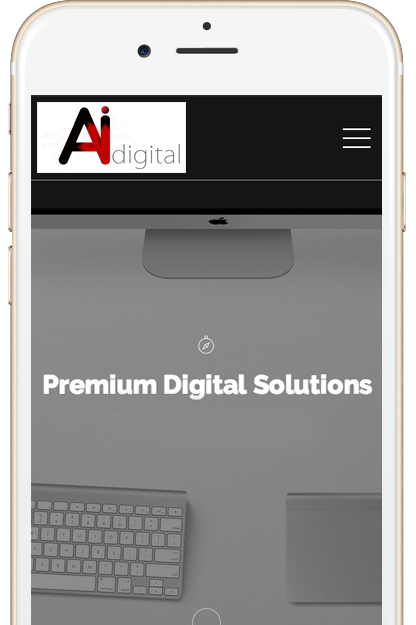 We deal with custom website solutions consisting of but not limited to web design and development, SEO, SEM, web analytics, social strategy and conversion optimisation. AI digital firmly believes in delivering customised solutions to match your needs just perfectly. With our approach to development, our methods continue to be proven in a continuous challenging marketplace with delivering what we promise. You ensure your customers will get a consistent experience across all devices. We’ll give your brand new and original creative ideas to bring your campaigns to life and as always will throw in an abundance of friendly absolutely free of charge.